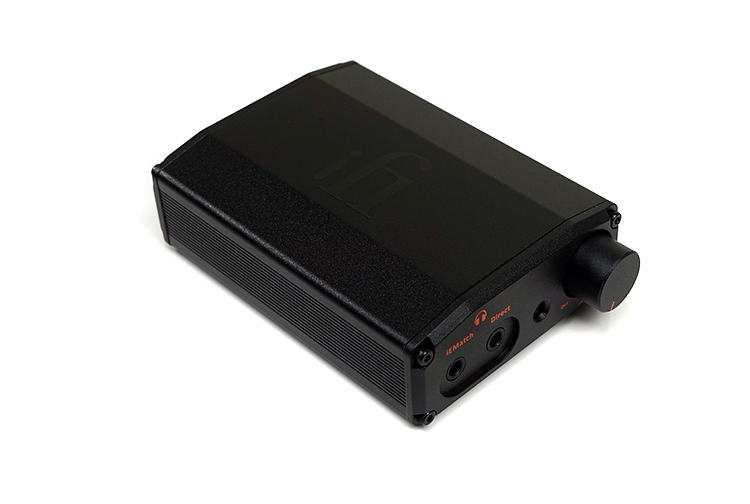 The iFi Nano iDSD Black Label is the first iFi Audio product I have officially reviewed for Headfonics. Mike, Klaus and some freelancers from around the world have all covered them before and in some detail. You would have to be living under a rock in gadget and audio land if you have never come across the British-based iFi label. Their marketing overdrive is hard to miss and they do hit all the right notes with some of those popular audio buzz words. If ever there is a company that can ride the wave of audio trends as quickly and handily as iFi I have yet to see it. For proof, just check the back of any of their product boxes. The feature sets are long and very enticing. Despite this late entry on my behalf, I know the brand pretty well actually and I do have an older Micro iDSD sitting on my desktop for a while now. The $199 Nano iDSD BL maybe a rung lower than the Micro, but as mentioned, it is not short on features that’s for sure. The Nano BL pitch is like a buffet of enticing tapas that you end up eating more from than any traditional 3-course meal can offer you. Where to start is pretty much where your eye drops and what interests you the most. At $199, for instance, it is almost, but not quite, budget level for a DAC/Amp and will appeal to those who want something more than just a phone or PC/Mac output performance levels. It is also pretty small enough to appeal to those who want something portable to take around with them but at the same time deliver solid and modern functionality to their desktop system. It will appeal to those who love to stream with MQA compatibility as well as a very high level of decoding prowess including DSD256 and PCM up to 32/384 kHz. Its OTG functionality will also mean you can stream anywhere at any time if connected to a data-capable Android or iOS phone. It also looks a perfect pitch for those with a wide range of headphones and IEMs who need sensitivity as well as power. The combination of a dedicated IEMatch output for sensitive IEMs should reduce noise to almost zero. At the same time, a hefty 285mW into 32Ω from a non-IEMatched direct output means you should have plenty in reserve for most medium efficiency headphones. If that is not enough then check out the dual tone switch at the back that flicks between “measurement” and “listening”. A clear pitch to audiophile preferences and for those who like a nuanced tweak to their sound now and then. For all of this ‘up to the moment’ audio feature set the Nano iDSD BL has a surprisingly old-school form factor. Not that this is a bad thing. I am quite partial to the relatively boxy tall design and there are shades of the Mojo about in terms of its volumetric dimensions. It is also pretty robust as most aluminum chassis designs of this type tend to be. With a solid, slightly arched, and finely engraved main body, as well as screw tight front and side panel construction there, could well be a slither of modding potential to it for those so inclined. All inputs and outputs as either recessed or flush with the metal work. Nothing is sharp and nothing sticks out unnecessarily. Run your hand over it and you will be hard pressed to feel any bumps or sharp edges. Given its Black Label moniker, the Nano iDSD BL comes in black with a smattering of orange decal work front and back. Orange and black is Headfonics branding colors also, we cannot think of a better combination of coloring. The small LED diode on the front panel also shows various color schemes to match the sample rate. Decoding at DSD256 will show blu. Go down further at DSD 64/128 and you get cyan. MQA gives you a purple hue. Green is the default color when no audio is played. With its analog design, the iDSD Nano BL does have an analog potentiometer with a resistance based on/off power control baked into the pot. It is smoothly finished to match the body black color scheme and delivers decent grip during operation. My main concern with this design is the stackability of something being pushed as being so portable. DAC/Amp designs such as the Oppo HA-2SE and even the RHA L1 are a little longer and shallower. This means the stacking balance with today’s modern smartphone is either much better or feels more discreet. Like the Mojo the BL is a little chunky and off-balance making it harder to stack and deeper once stacked. However, you are using a DAP as a transport like a Hidizs AP60 II, Shanling M1 or M2s DAP then it is a wonderful matchup and a good fit. Again, just like the Chord Mojo. On the front panel of the Nano iDSD BL you have two 3.5mm outputs. They are differentiated via their impedance rating which means they have a specific pairing suitability. For those that use an IEMatch cable then yes, this is familiar territory. This output is rated at 4Ω compared to the direct output which is rated at less than 1Ω. 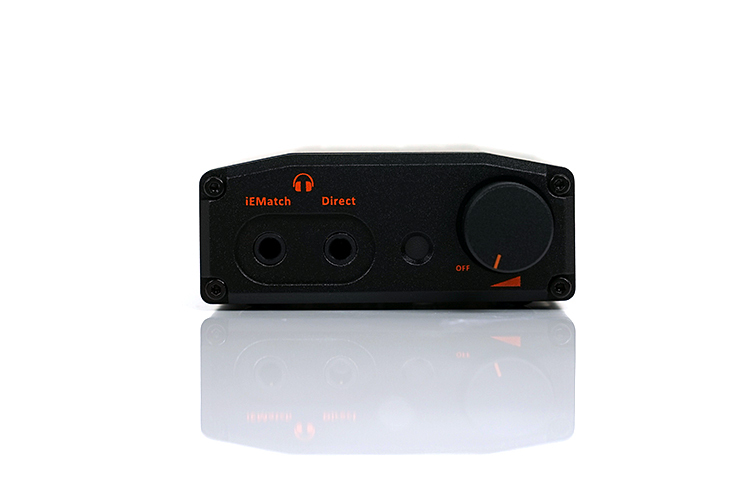 The premise of this higher rating combined with iFi’s IEMatch technology is to reduce noise and hiss from sensitive gear such as IEMs which out reducing the dynamic range at the same time to maintain a quality level of performance. It should also reduce unusual responses that interfere with the frequency response of your IEM from the increased output impedance of the jack. The direct output will have a higher noise floor and less attenuation so it will play louder and if using sensitive IEMs it will exhibit noise. However, iFi has not purposed this output for efficiency but more for gain and power. This jack is for low-efficiency IEMs and medium efficiency headphones upwards. Owning an IEMatch cable I can attest to the benefits of its functionality. Having tried it with the HiBy Music R6 and the Shanling M2s, two DAPs with high output impedance, the cable acts as a filter to correct any imbalances in the response of these two. The volume does attenuate to reduce the noise floor so you require more voltage than you normally need without the cable. 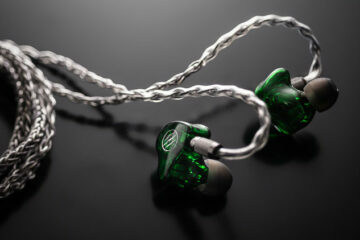 However, the response curve of the IEMs in use are more accurate and play truer. The IEMatch on the BL is designed to match the high sensitivity selector of the IEMatch cable. The cable does have an ultra setting which attenuates further, however you will not find that option on the BL. The net result is a nuanced change in the sound signature of the BL when you go from measure to listen. The ‘measure’ filter is a little more linear to my ears with better mids and treble presence. This is intended for the more critical listener. The ‘listen’ filter pushes the voicing and top end back a little so it is more relaxed sounding with more mid-bass warmth. This is intended for something a bit more forgiving and perhaps casual listening. The Nano iDSD BL comes with two types of connectivity for both digital and analog. The first is a 3.5mm Line-out at the rear of the unit to the left of the filter switch. It delivers a fairly healthy 2.15v output which should match well with more analog amplifiers, even desktop variants. The second is a multi-purpose female USB-A port which sits in a recessed bay on the far right of the BL back panel. With this port, you can charge, enable the BL as a USB-DAC with your PC/ MAC or a stack using OTG/USB-Lightning to Android and iOS devices. If you are using Windows 10 latest edition with universal drivers baked in the BL will be picked up right away and the correct AMR HD 2.0 drivers will be loaded for immediate use. For MAC it is also plug-and-play. For those on earlier editions of Windows, you will need to download the latest drivers and install before using the BL as a USB-DAC. iFi Audio do supply you with both a USB-A female to a USB-B female adapter and a long female to male USB-A cable to do most things. However, what is missing is an OTG cable. Bit of an admission if you ask me but thankfully these cables only cost about $1 in most stores so not a much of an additional cost. It is more of a hassle factor of sourcing one if anything. Just be careful on the USB-A female casing on your cable if you do buy one. It is fairly deep set so those widebody ones you see in some outlets will not fit. Being portable means battery powered and the Nano iDSD Bl includes a li=poly battery rated for 10 hours continuous use before it needs a charge. I am unsure of the exact capacity of the battery inside but I would say around 2400-3000mAh considering its decoding/power rating and lack of LCD or other OS features. Real world testing for me ranged around 7 hours upwards depending on what you were doing which is about average though not amazing. I have yet to get 10 hours personally though my normal decoding is lossless. I suspect you are looking at a minimal load test combined with lossy file decoding and low volume to achieve that rating of 10 hours. If you are using it as a desktop solution connected to your PC via USB you will have both data transfer and charge simultaneously so there is no time limit there. The Nano iDSD BL uses a Burr-Brown PCM1793 Multibit hybrid DAC architecture which will do bit-perfect processing right up to DSD and including DXD. The general range of decoding is actually excellent from lossy simply codecs such as MP3 up to DSD256 and including DXD 384/352.8kHz. It will decode PCM up to 32BIt/384kHz also. Importantly for TIDAL fans, it will handle MQA files natively using MQA 88.2/96/176.4/192kHz filters. iFi has constructed a Dual Mono 2 x 285mW Direct Drive amp stage at the heart of the Nano iDSD BL which includes the IEMatch and direct output 3.5mm outputs. Now one of the big things they are touting about the amping performance of the BL is their ‘S-Balanced’ wiring system. iFi is touting s-balanced as being much superior for unwanted crosstalk as well as being wired to accept both balanced and unbalanced headphones with 3.5mm fittings. Lowering crosstalk by over half is an excellent addition though 3.5mm balanced is a little rare in the market these days. Chances are if no 2.5mm or 4.4mm pentaconn then it is going to be used primarily in unbalanced 3.5mm format. There is a minor loss of dynamic range on the IEMatch but only marginal, like 2dB on its output at 107db compared to 109dB on the direct output. That’s pretty good considering the noise level reduction is done on the IEMatch output. There is a pretty steep drop to 20mW on the direct output once you get to 600Ohms so the Nano iDSD BL should not be considered a desktop replacement amp. Volume and dynamics should be good on medium efficiency headphones. I have been aware of how well-packed iFi Audio product boxes and the Nano BL is pretty good in this respect. 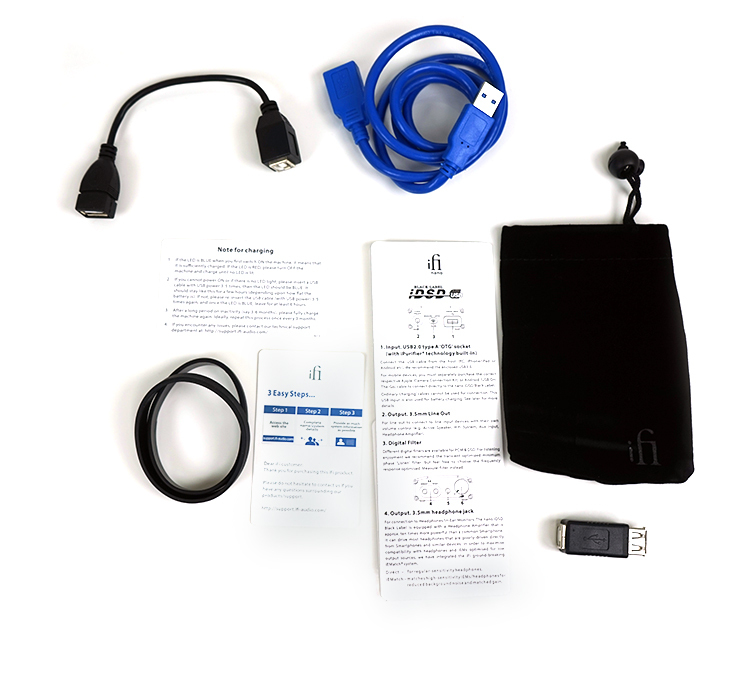 This is a long but thin retail box chock full of eye-catching slogans and most of the unique features of the Nano iDSD BL. It sort of reminds me of how Creative approach their product marketing except this one is in white. I kind of like it, it feels like I am getting a lot for the money. Is that a bit shallow? Yeah, but the retail shelf can sometimes be like that. As I mentioned the only thing missing is a cheap OTG cable, especially USB-C which I feel is fast becoming the new standard and taking over from micro-USB. Other than it is pretty well stocked for most things you can think of such as bands for stacking, charging and USB-DAC cables, carry pouches and well thought-out manuals. My replay to Headfonics on its above replay is as below. “Hello dear. If you are telling that ifi Nano BL is ine of of the best DAC Amp, then it is true because Headfonics blogs are good, unbiased & trustworthy for our audiophile community. 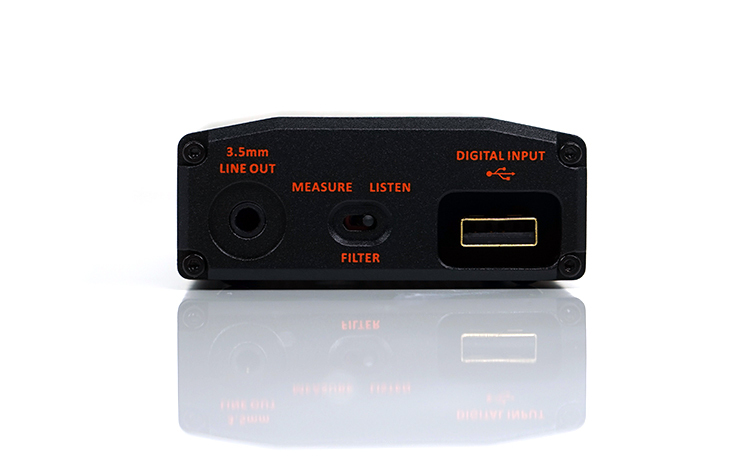 ifi claims that converts DSD to Native DSD(while other DACs convert DSD to PCM to Analog DSD). There is no reason to disapprove this claim. But, even with other DACs, we can differentiate between files like MP3, FLAC, DSD etc. Isn’t it? What’s your take, dear Headfonics? In replay @Headfonics replied as below. Hi Bhavin, there is much to sound than a DAC, there is also the amp. THis is a $200 amp that sounds excellent but compared to a desktop dac/amp no it does not nor would it claim to be. There is also the preference question in terms of how things sound. Is it the best at $199? Certainly one of the best yes. With regard to the claim, not sure I can disprove it unless I take it apart and measure it bit by bit. Sry, by mistake I removed my comment. I m posting it again. ifi claims tht “TI Burr Brown 1793 DAC” used in “ifi Nano BL” converts DSD to Native DSD without convert it to PCM. They say tht other DACs convert DSD to PCM & then to Analog. U agree? Did u get better sound through ifi Nano BL than other DAC Amp fr DSD files? Hi. If you are telling that ifi Nano BL is one of the best among 199$ price DAC Amps then I believe it for sure because I trust unbiased & informative “Headfonics blogs”. But, like you disapprove claim by ifi that Nano BL(& TI Burr Brown PCM 1793) DAC Amp gives natural output by convert DSD to Native DSD directly(other DAC Amps convert DSD to PCM to Analog DSD as per ifi claims), I also don’t trust this claim because we can clearly get different sounds through different files like DSD, FLAC, MP3 etc. 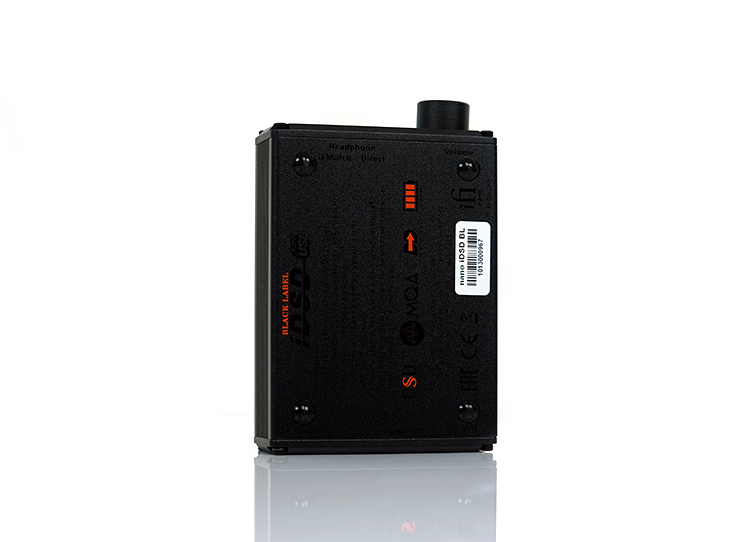 For other brand DACs, too. This claim of ifi that Nano BL converts DSD to Native DSD unlike other DACs & thus gives natural sound is a marketing gimmick I guess. ifi company claim tht “TI Burr Brown 1793 DAC” chipset used in “ifi Nano BL” makes it only DAC Amp in the market who converts DSD file formats to Native DSD without convert it to PCM first. ifi claim tht other DAC chipset & other DAC first converst DSD to PCM & then give DSD output. Is this claim of ifi company right? Also did u get better sound through ifi Nano BL than other DAC Amp while u used it for listen DSD files? 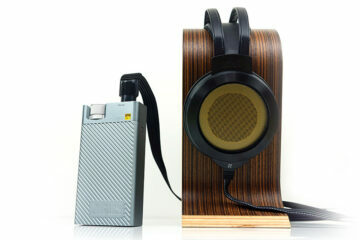 Hi Marcus, I am planning to pair the iFi Nano with Senn HD 650. Do you feel an amp (Schiit Magni 3 is what I have in mind) will improve SQ significantly, given the impedance of the 650 is rated at 300 ohms? Well certainly it will have more power which is a plus for the HD650 to drive it but since I do not have the Magni 3 I cannot say for sure if they both have synergy. You are right Radovan and I tried today one on Audirvana plus and besides the fact that it could only play DSD128, it did not encode correctly MQA probably you should have installed the firmware you are talking about. Hi there! Two questions: 1) would this Nano BL be a good match for a HD6XX? and… 2) what is the best cable to use to connect this Nano BL to an iPhone 6Plus? Thx. It will not have an issue driving the HD6XX but as for tonal preference, it is hard to say since everyone is different. I like neutral systems for my HD650 (which is the exact same as the HD6XX) but this is not an overly warm and fuzzy pairing also. For iPhones, a Lightning to USB adaptor is needed and honestly, any should work. Hello Marcus, great review as always. My current configuration is the Cayin n3 with the 99 Neo. Will my cayin be compatible with the nano bl? Just tested with a cheap USB to micro-USB cable and an adapter for USB-c and it works fine. I use Transmart USB-C $5 adapters as they are bi-directional. It is possible though I cannot vouch for that cable. Sometimes it is trial and error but at that price, I see no harm in taking the risk. Your review does not state clearly whether the Nano BL is a full MQA decoder and renderer, so that you can get the full MQA experience with non-MQA-aware players playing MQA files, or whether it’s an MQA renderer only, requiring an MQA player to get the full MQA experience. Hi Dale, it is a rendering device. So you would use TIDAL to do the initial sweep. Personally, most are going to be on TIDAL for MQA anyhow so they won’t see a physical difference. If you want full unfolding I highly recommend the Project Audio Pre Box S2 digital at $399. Nice review, thanks a lot for reviewing the nano. I actually purchased the nano back in november shortly after it got available to replace the Oppo HA-2 (the original version) as my desktop dac/amp connected to my Mac home. The main reasons have been the MQA and the proclaimed low noise level (as you might know the original HA-2 produced quite a noticeable hiss on sensitive headphones so I ended up using a 300 Ohm DT990 with it). I am very pleased with the sound it produces as well as the MQA reproduction from Tidal, however there are some serious issues I am facing with it. One should have been told the device does not ship with an MQA compatible firmware and you have to upgrade it first. In doing so, you loose the led indications on the sound quality/rate as well as the full compatibility with Mac (which is very surprising), as the latest firmware is officially only compatible with Windows. Thus you get a very troublesome connectivity to Tidal, which is very unpredictable and the devices often loose connection to each other, so you have to switch off and disconnect the nano to overcome it. In addition, playing Masters form Tidal gets you an unmute period (actually volume muted down associated with a funny sound at the end) at the beginning of each new track, lasting for about 2 seconds, which is very annoying. Apparently the nano is trying to identify what is being thrown at it in the beginning of each track. The only other MQA-capable device I have is an Auralic Aries, and it does not behave like this by any means. Wonder you have had any similar experience when testing it with Tidal Masters. It seems to me the firmware needs still some work on till the device really delivers to what it promises. I purchased one yesterday and am using to listen to Tidal Masters through a MacBook Pro. I did have to download the latest firmware (5.3 I believe) but I did not experience the same issues as Radovan. My quality indicating lights are working fine and I did not lose any compatibility with my Mac. I do notice the slight delay/tic when playing a new track though which is annoying. Overall it sounds very good to me. This is supposed to be the latest and ifi confirms appart from the magenta colour when playing Tidal Masters, LED is NOT working as supposed to, as everything else turns the LED white…. It would be interesting if you tried the Audirvana plus mac as I tried yesterday and it seems they still do not have an MQA driver to go, basically if you have an MQA format song to say MQA 96 khz everything you can to decode the ifi nano BL is 45 khz but without MQA in front, that means Audirvana does not have the MQA coding driver yet at IFI, and if you listen to Tidal as master, you are not sure as it is.